North America’s first and most respected fine woodworking magazine. United Kingdom’s most respected fine woodworking magazine. le magazine des vrais bricoleurs. 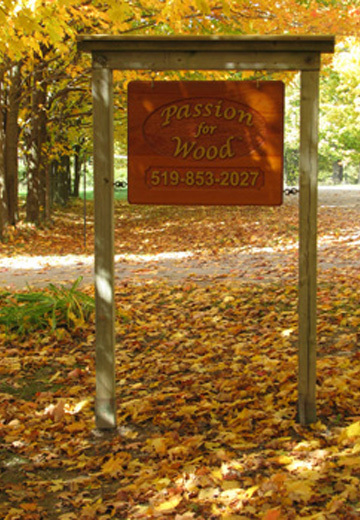 Canada’s only national magazine dedicated exclusively to woodworking. If you have a question for Hendrik, send him an e-mail with your inquiry. Hendrik will review his fees for his consultation service with you before dispensing any advice, which can be arranged shortly after. Advice can be given by phone, by email or in person. Hendrik provides professional advice regarding woodworking related topics. Some examples might be choosing an appropriate type of stain, choosing the right finish for a particular project, choosing an appropriate wood species for outdoor use, etc. He can also give his unbiased opinions on tools that you are considering for purchase. Get advice on designing a piece of furniture, or have Hendrik review your plans and cutting list. And for those of you living in the Toronto area, Hendrik can give you tips on where you can buy his favourite tools, finishes, dowels, etc. In other words, he can be a great resource to save you from running all over the city looking for the things you need. Please remember that this is not a free service. Contact Hendrik to review his rates and provide proper billing information before sending in your inquiry.